COLUMBUS – Four years ago, Special Olympics coach Steve Weaver invited Buckeye head coach Urban Meyer to an awards banquet as his featured guest. 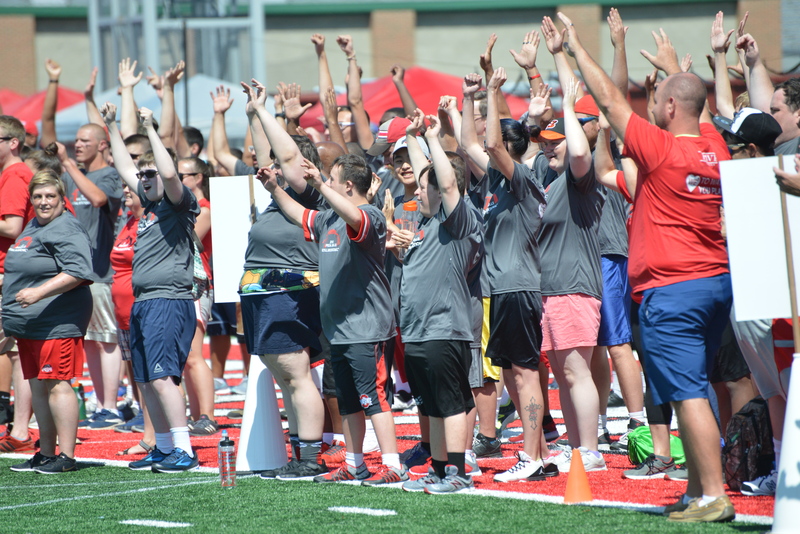 What was born that night was on full display Thursday afternoon, as approximately 250 campers took over the practice fields at the Woody Hayes Athletic Center for The Special Skills Invitational. 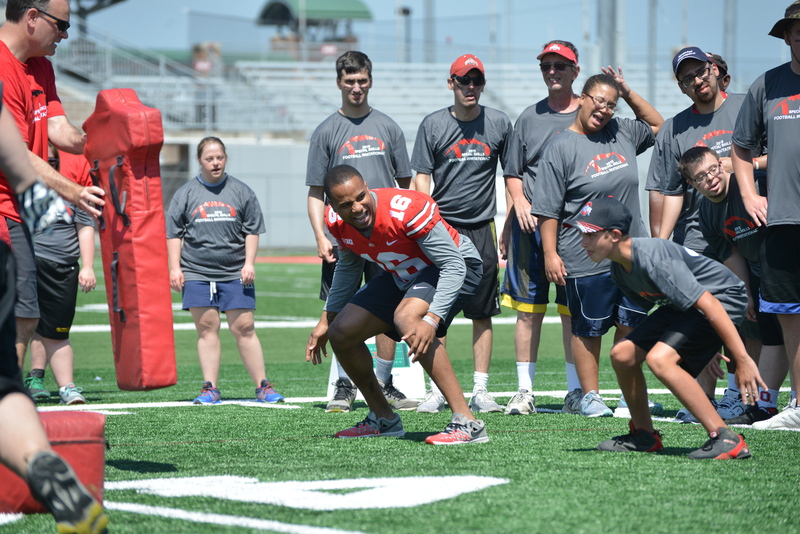 Athletes from 14 counties all over the state were put through a variety of station drills by current Buckeye players. 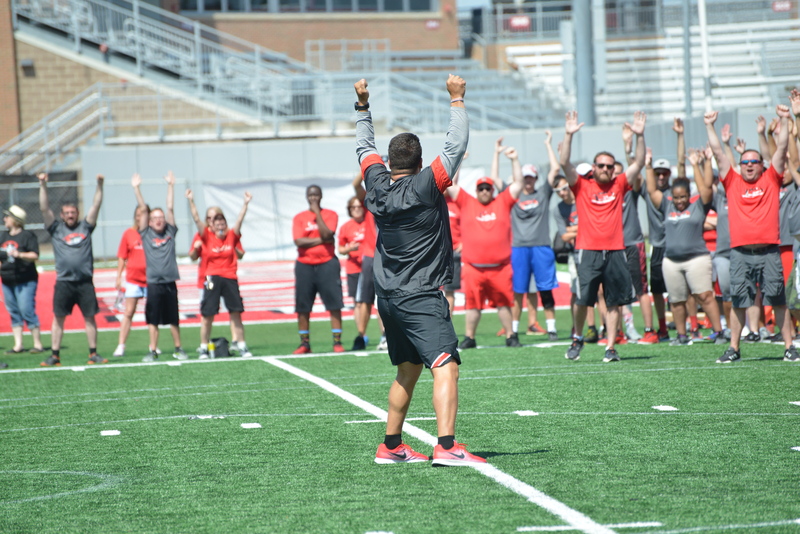 Perhaps the highlight of the event was an appearance by the Ohio State University Marching Band, which performed all of its hits – including Across the Field – and an opportunity to perform Quick Cals, which was led by assistant strength and conditioning coach Niko Palazeti. 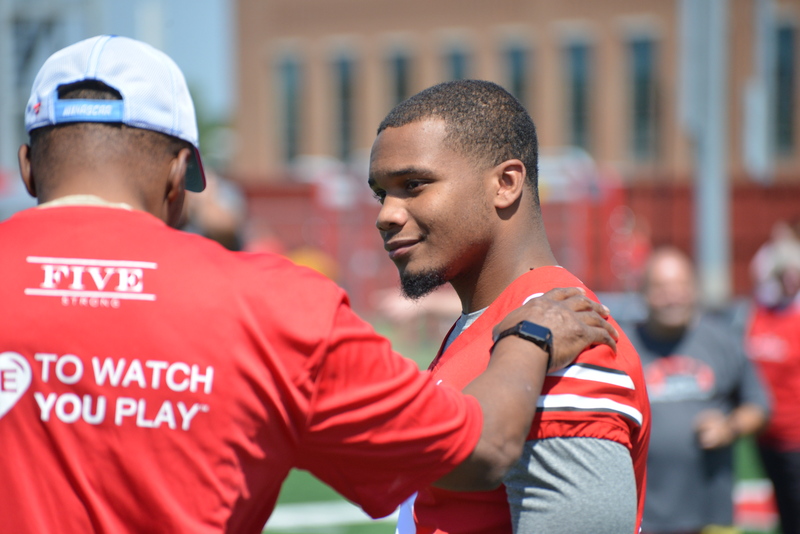 Among the players in attendance were junior safety Jordan Fuller, sophomore running back J.K. Dobbins, junior linebacker Keandre Jones, senior center Brady Taylor and senior left guard Demetrius Knox. Media members also took notice, as reporters from WBNS-10TV, NBC4 WCMH and print reporters all were in attendance documenting the day. 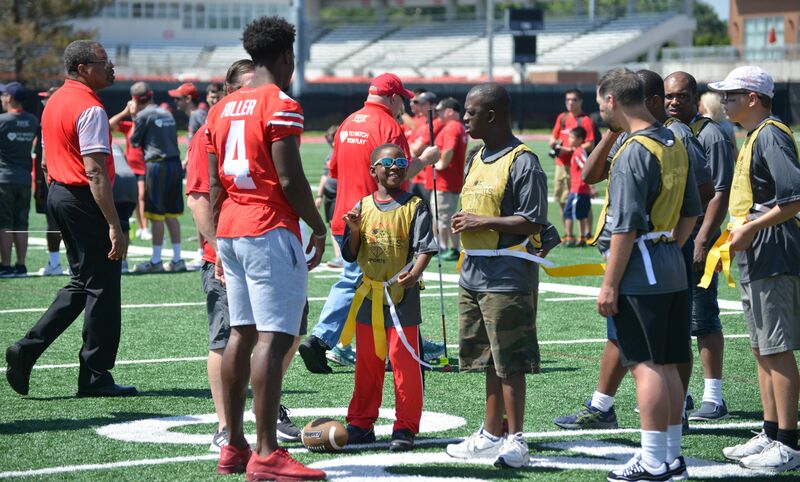 The idea of bringing the Special Skills Academy to Ohio State was first broached by Weaver to Meyer in January of 2015. Meyer didn’t hesitate, agreeing to allow them to use the Buckeyes’ facilities and have access to its players as volunteers. Since then, the event continues to grow. 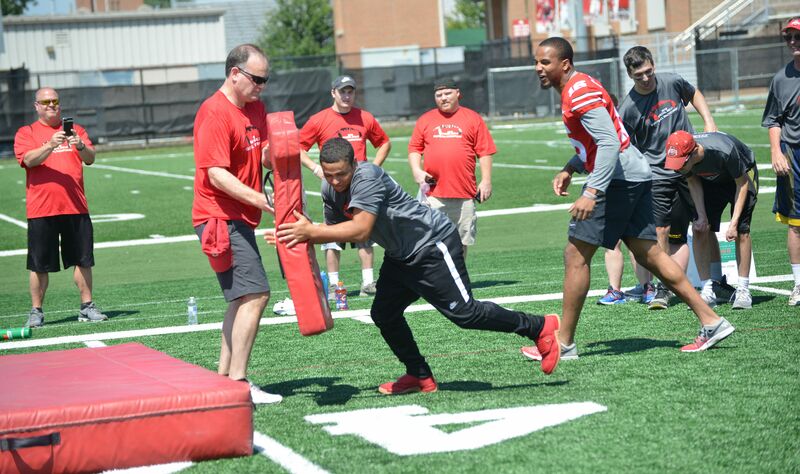 Under the watchful eye of their coaches in Scarlet and Gray, athletes were put through some of the same drills that the Buckeyes will be perfecting when training camp opens – slamming tackling dummies to the ground, dragging weights and sprinting while strapped to parachutes.